You would like to show the villains where it’s at? You want to hunt down evil Nazis? Also, you like to engage in archeological excavations? Well, then you obviously made the right choice in acquiring Fortune and Glory: The Cliffhanger Game. Alas, as much as you enjoy looking for artefacts and treasures, you certainly don’t enjoy looking for your game material for too long. Which is why we at Feldherr decided to create a little sorting system for this vast game which comprises several hundred components. 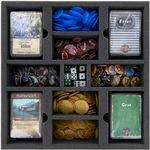 The first tray features 48 custom cut compartments which provide space for the miniatures. Thus you don’t need to worry about either your Mobster Thugs, Heroes, Villains or the Zeppelin. 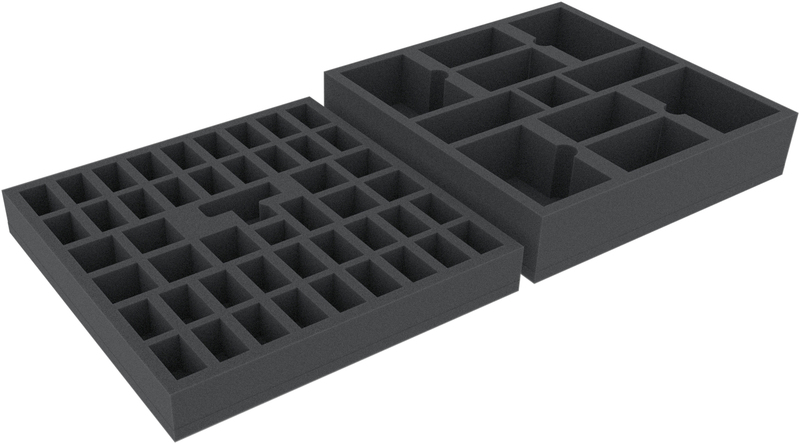 The second tray has 11 compartments. Here, you can safely store the game’s accessories. 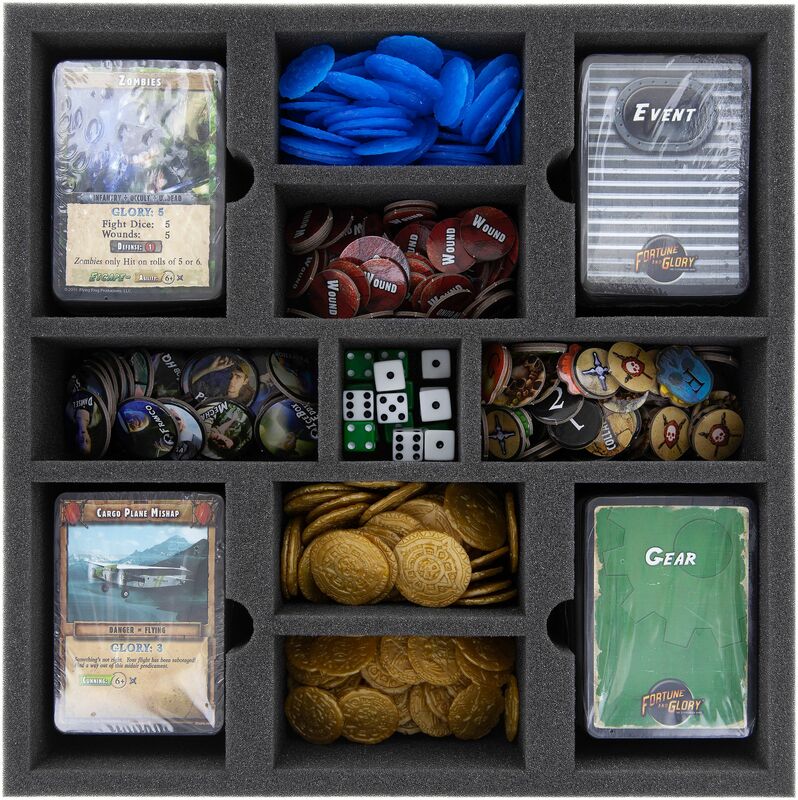 Hence, also your Tokens, Markers, sleeved cards, Fortune- and Glory Pieces and dice are provided for. 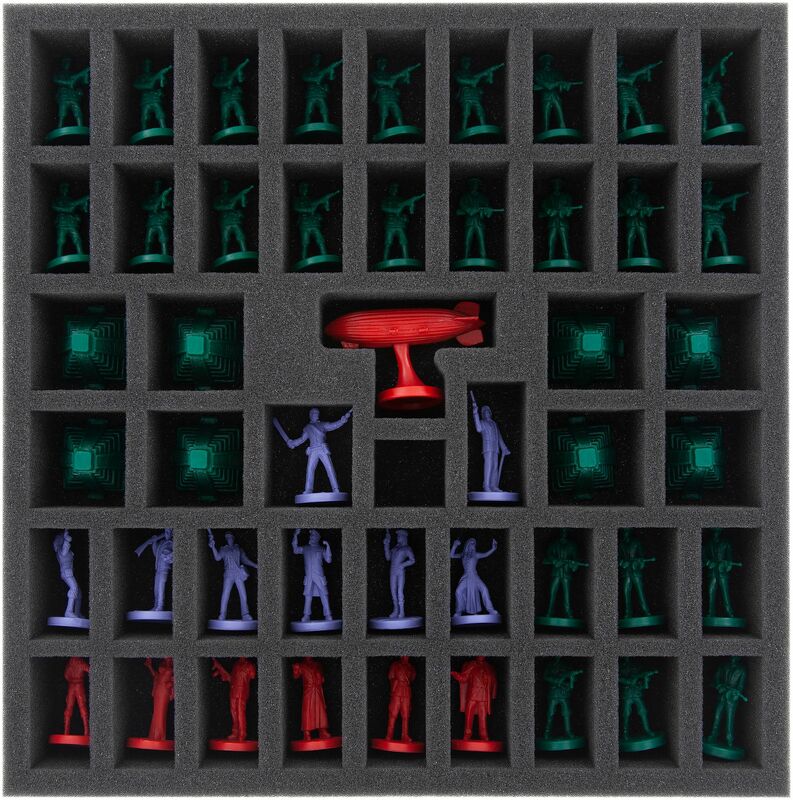 In addition to the trays, the Set includes 4 foam toppers. When you're done sorting the game material into the trays, you lay 3 toppers onto the lower, miniature tray and 1 topper onto the higher, accessory tray. The game components are thus protected from above and the surface is level. 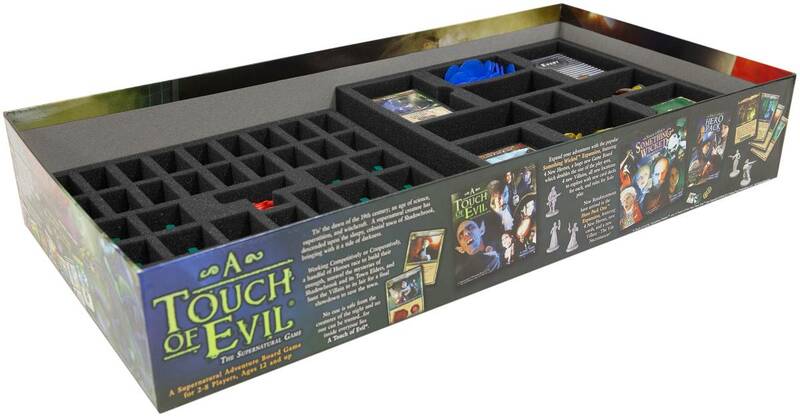 You can then pack the Villain Track and Track Marker, the Hero Character- and Vile Organization Sheets, as well as the CD, the Tactics/Outposts Cards and the game board on top. The lid of the game box will be flush with the edge of the game box. Feldherr wishes good luck in all your battles!